Gas powered bikes are cheap, economical and reliable. If you want more power than your legs can produce, then consider using a gas engine to turn your bike into a reliable, useful and effective vehicle. 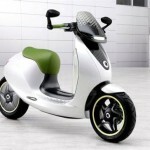 A lot of people have come up with different gas powered bikes but you should use one that suits you. Most homemade designs use small engines or motors but using a small sized gardening motor is the easiest way to install a gas kit on your bike. You can choose from two stroke or four stroke engines depending on your needs. Consider removing the back wheel of your bike. Now stack the washers from the kit on both sides of the wheel beams. Position the kit sprocket on the opposite side of the existing gear. Use the adjustable wrench and socket wrench to tighten the screws symmetrically once all the mounting hardware is in place. Make sure the sprocket is evenly spaced from the wheel hub to avoid complications later on. Next place the engine in the centre of the frame. Adjustment of the angle should be made in a way that the exhaust pipes should be pointing towards the ground. Use the hardware provided in the kit to fix the engine to the frame tubes. Use a socket wrench to tighten loose nuts. Depending on the type of kit you are using, you may be required to drill holes in the frame of the kit using a drill. Consider buying a drill from your local hardware store if you do not have one already. Drill holes are required to mount the motor and if the locations are not marked already, measure the dimensions of the motor and mark the locations using a drill. Connect the frame to the CDI box and attach the spark plug top to the spark club cable. This should be done by pressing down on the cable firmly. Replace the old right hand grip with a brand new throttle grip from your kit. Connect the carburetor to the throttle cable using a wrench. Connect the clutch cable to the left hand grip of your bike’s handle. Again use a wrench to accomplish this task. The little gas tank can be put up using the provided hardware and tightening the nuts with a wrench. Connect the fuel line to the carburetor and start using your new gas powered bike.